Barclaycard has built an impressive array of credit cards suited to a number of cardholder needs, such as travel, cash back, balance transfers, and low APRs. We’ve crunched the numbers on Barclaycard offerings to highlight a handful of our favorites. But keep your credit score in mind before applying as these cards are meant for cardholders with excellent credit. This card offers one of the largest sign-up bonuses you'll find among competing travel cards with a modest annual fee, plus it offers unlimited miles at a high rate. Offers one of the lowest ongoing interest rates we've come across, making it a good option if you've got some debt and want to pay less interest. It's also one of the few remaining cards on the market with a balance transfer fee waiver on transfers made after 45 days. Barclaycard, a U.K.-based credit card issuer, has been expanding its offerings in the U.S. for a while now. Known for superb customer service and excellent travel rewards programs, the British issuer is now one of the top 10 fastest growing credit card issuers in the United States and offers some of the best credit cards on the market. Here’s everything you need to know about Barclaycard, from increasing your approval chances to deciding on the best credit card for you. Which Barclaycard credit card is right for you? We’ve been writing about credit cards for quite some time now -- over 2,300 articles are under our collective belt currently, to be specific. While launching The Ascent, we analyzed thousands of data points and hundreds of credit card offers in order to develop a ranking strategy to come up with the best credit card picks for your wallet. Outside of work, we’re all credit card enthusiasts who have personally used cards like these to pay off debt, save hundreds (sometimes thousands) every year, and go on dream vacations. We want to help you do the same. In order to help you get the maximum benefit out of your credit cards, our ranking system puts preference on cards that provide you with concrete savings at a low cost. These are some of the main factors we considered while comparing different Barclaycard credit cards. Sign-up bonus -- We want to help you collect rewards, and a credit card with a good sign-up bonus is one of the quickest ways to do that. Ongoing rewards -- Even the most generous sign-up bonuses only last so long. We want to make sure you keep getting rewards for years to come. Extra perks -- We know that credit-savvy frequent flyers look for more than just a basic rewards scheme -- bring on the annual bonuses and premium benefits. Fees. Sometimes benefits are worth an annual fee -- But you should always be looking to minimize your costs, so we consider annual fees, balance transfer fees, and more. Introductory offers -- Credit cards can be good financing tools, so we look for introductory APR offers on new purchases and the best balance transfer credit cards to save you money on interest. Ongoing APR -- Our advice is to always pay your balance in full. However, in case you can’t do that one month, it’s nice to have a low APR. Barclaycard, like any other issuer, offers a range of different credit cards. To help you decide which credit card is right for you, here are the three main types offered. Barclays Arrival® Plus World Elite Mastercard®. This credit card offers rewards on spending in the form of Arrival miles, which are explained in detail below. Rewards credit cards are best for consumers with no credit card debt who are looking to get some money back on their everyday spending and plan to pay off their balance in full each month. 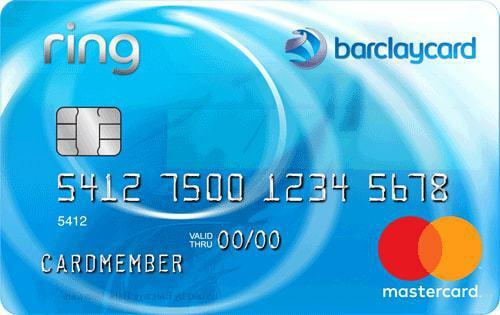 The Barclaycard Ring® Mastercard® is an example of a Barclaycard credit card that does not offer rewards. Credit cards that don’t offer rewards, such as this one, typically offer benefits in the form of a lower APR, introductory 0% APR offers, and no annual fee. These credit cards are best for people who are using them to pay off debt or build credit. Their lack of an annual fee and lower APR make them a great option for consumers who are new to the world of credit cards and want to practice healthy financial habits before jumping into a rewards card. Barclaycard also offers a number of co-branded credit cards, which are offered in conjunction with another company, such as an airline or hotel, that provides the rewards on the credit card. For example, with Barclaycard’s AAdvantage® Aviator® Red World Elite Mastercard®, you earn American Airlines AAdvantage® miles, and rewards bonuses are offered on American Airlines purchases. 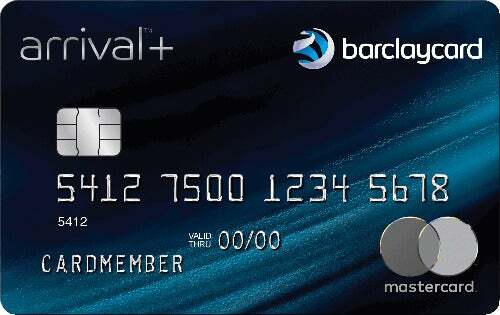 Barclaycard also offers credit cards that are co-branded with Carnival Cruises, Hawaiian Airlines, JetBlue, Apple, and more. Most Barclaycard credit cards require a good credit score, which is a FICO® Score of 670 or above. Some cards, such as the Barclaycard Arrival® Plus World Elite Mastercard®, may require an even higher credit score. If you have an excellent score, (740 or above), you will presumably receive approval in most cases. It’s worth noting that Barclaycard likely considers how many new accounts you have, and opening too many recent accounts (within the past 24 months) may affect your approval chances, even with an excellent credit score. A number of data points indicate that Barclaycard typically pulls your TransUnion credit report. Barclaycard Arrival miles can be redeemed for travel cash at a flat-rate of $0.01. While there are a few other redemption options, such as statement credits and gift cards, the option to redeem for travel cash is highly flexible and worth significantly more, so these low-value options aren’t considered when determining the value of Arrival miles. Barclaycard refers to rewards points “miles,” but they don’t really function like traditional airline miles. In fact, they aren’t even transferable to other airline loyalty programs. Instead, Arrival miles are more similar to cash-back rewards, but only for travel purchases. If you want to redeem your Arrival miles, you can select any charges coded as “travel” that have been made in the last 120 days and “erase” them by applying your miles to the purchase at a rate of $0.01 per mile. So, if you have 20,000 miles in your account and purchased a flight for $500 last month, you could apply the 20,000 miles to the purchase, and $200 of the charge would be reimbursed to you. On top of that, you receive a 5% rebate on all miles you redeem, so you’d get 1,000 miles deposited back into your account. Why should I collect Arrival miles? While it’s possible to squeeze more than $0.01 per point out of other rewards programs, the lack of flexibility and low award availability of many programs often results in low-value redemptions. Sometimes the points or miles go to waste altogether. The beauty of the Barclaycard Arrival miles is that they’re always worth $0.01 each, and they’re nearly impossible to waste because they can be applied to such a wide range of purchases. You can cover things like train rides or stays at small bed and breakfast hotels that you normally wouldn’t be able to purchase using rewards. Additionally, by essentially “erasing” travel purchases, these miles can even apply toward hotel incidentals and airline surcharges, which is valuable when airline award redemptions often still cost $100+ in taxes and fees. Luckily, this category is pretty open-ended. Your typical travel purchases such as flights and hotel stays will count, along with rental car purchases, Airbnb purchases, and some transportation (Lyft and NYC Metrocard purchases tend to code as travel). Anything purchased through a travel booking website, such as Hotwire or Expedia, should code as travel. Barclaycard cards have different redemption minimums. If you have the Barclaycard Arrival® Plus World Elite Mastercard®, you have to redeem at least 10,000 miles ($100) at a time. This is a drawback for low spenders who may take a while to accumulate 10,000 miles ($5,000 in spending). There are a number of things you can do to earn travel rewards at a faster rate. Here are a few tips to help you pile on the Barclaycard Arrival miles. Qualify for the sign-up bonus -- If you plan to apply for a Barclaycard credit card with a sign-up bonus, make sure you can hit the minimum spending required to qualify. You can time your application before a big purchase or high spending month to help you get there. Look for targeted offers -- While most credit cards send out targeted offers to acquire new cardholders, Barclaycard tends to send out targeted spending offers to current cardholders to encourage them to spend more, often in certain spending categories. Check your email and regular mail for these. Barclaycard Arrival miles are pretty straightforward given their flat-rate travel cash redemption option. However, although unpopular, there are a couple other ways to redeem your Arrival miles. Follow these tips to make sure you get the most value from your rewards. Use them to “erase” travel purchases -- This is the only redemption option that maximizes the value of your Arrival miles. When you use your miles to “erase” purchases coded as travel, they’re redeemed at a rate of $0.01 each. Given the flexibility of this option, there’s little reason to redeem your miles any other way. Don’t redeem for gift cards -- You will get the option to redeem your miles for gift cards to various restaurants, stores, and hotel chains. However, you’ll only get $0.005 per mile with this option, so it’s not advised. Avoid redeeming for statement credits -- Additionally, if you don’t have any recent travel purchases, you can redeem Arrival miles for “cash back” on any purchase. Again, you’ll only get $0.005 per mile with this option, so it’s best to save your miles until you have a travel purchase you can redeem them for. Choosing a Barclaycard credit card depends on your personal financial goals and spending habits. Someone who’s paying off credit card debt will want to apply for a different card than someone who is debt-free and looking to travel more. To help guide you, the chart below explains the best card for various situations. The answer to this question is a personal one that only you can give yourself. Here are a few questions you should consider when deciding which Barclaycard credit card is right for you. What kind of benefits would serve me best? When it comes to credit card benefits, you typically have to decide between three options. Because of the way that Barclaycard Arrival miles work, these rewards cards function like a combination of cash back and travel rewards. The chart below highlights the main benefit of each card on our list. There are great credit cards with no annual fee. But it’s important to remember that while annual fees might turn you off from applying for a credit card, they can be worth it if the card’s rewards system is in line with your spending habits and rewards goals. That being said, you never want to pay an annual fee for a credit card with rewards and benefits you aren’t going to use. The chart below shows the annual fee for each card on our list. Credit card applications result in a hard pull on your credit report, which can affect your credit score. While any drop is small and temporary, you shouldn’t apply for a new credit card without making sure you have a chance at being approved first. The chart below shows the general credit score requirements for each card on our list. Keep in mind that these are not hard requirements, so it is still possible to be approved with a lower score or rejected with a higher score. Above all, make sure that the credit card you choose is working for you, and not the other way around. If you’re paying more in interest and annual fees than you’re getting in rewards and benefits, you should close your account and look for a card that better suits your needs.